When a person is arrested and taken to jail, a bail amount is set which must be posted in order for the person to get out of jail. Sometimes the bail amount is considerably high due to the nature of the crime committed. If a person is unable to pay the bail amount, they can hire a bail bond company to post the bail amount. The bail bond is a surety bond that is paid to the court as insurance that the person shows back up to court for their court hearing. If the person does not appear in court for their hearing, the bond will be relinquished. The bail bond company will be out the money they posted for bail, and the court will issue a warrant for the person to be arrested and placed back in jail. 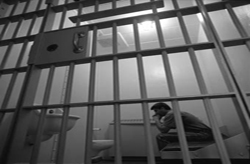 If the crime committed by the person held for bail is not considered serious, bail usually can be made immediately. If the crime committed by the person held for bail is considered a serious crime, bail cannot be made until a bail hearing. At the bail hearing, a judge will decide if bail can be posted and how much the bail will be in order for the person to be released from jail.Choosing the professionals at Bail America Bail Bonds will help make this process easier. Our bail bondsmen are experienced and know the in’s and out’s of the bail bonds process in Galveston and Galveston County. We will explain everything thoroughly and help you get through this difficult time. Call Bail America Bail Bonds today. We want to be your Galveston bail bonds company. A bail bond specialist is standing by to assist you at (409) 765-9600.